Are you ready for some delicious seafood prepared the Fiesta En Jalisco authentic Mexican way? Visit us at our 11 locations in Idaho, Montana and Washington nearest you today! #20. Coctel de Camaron Shrimp in its own juice with pico de gallo and avacado. #21. Camarones Apretalados Prawns wrapped in bacon, sautéed in garlic-butter sauce, spices & topped with melted cheese. #23. Camarones a la Diabla Prawns and mushrooms cooked with garlic and served with red salsa your choice of Mild, Medium, or Hot. ★ #24. Combo Camarones A combination of Camarones Apretalados, Camarones al Mojo de Ajo Camarones a la Diabla, served with rice & beans. Topped with sour cream & guacamole. #25. Arroz con Camarones Prawns sautéed with crispy onions and mushrooms, in a garlic-butter sauce, served over a bed of rice and melted cheese. #26. Camarones Jalisco Prawns with mushrooms, tomato and green onion with a cream-wine sauce. #27. Camarones Chipotle Prawns sautéed with mushrooms,slices of Poblano peppers and cooked in a spicy chipotle creame sauce. #28. Plato De Le Costa A mixture of chicken, shrimp, immitation crab, onion and cilantro, cooked with a touch of wine. #29. Seafood Enchiladas Two rolled corn tortillas filled with baby shrimp or immitation crab, topped with enchilada sauce, cheese, sour creame, avacados, and olives. #30. Fish Tacos Fried fish topped with pico de gallo and cabbage. Served with rice and beans. Enjoy the authentic flavors of Mexico! Our mouth-watering authentic Mexican dishes and drinks are traditionally hand-crafted to perfection. You can visit us, fax, or call in your order to-go. From our family to you, we look forward to serving you. Menu prices as of 9-1-2017. subject to change without notice. 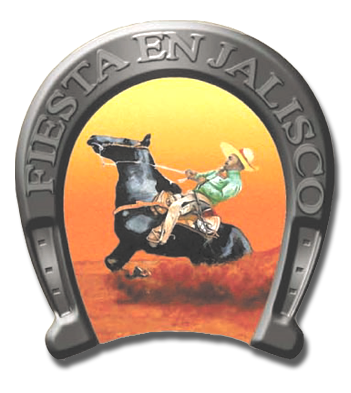 Copyright © 2017 Fiesta En Jalisco. All rights reserved.